Search Engine Optimisation is a very simple concept: it ensures your website is easy to find whenever someone types in a relevant search query. 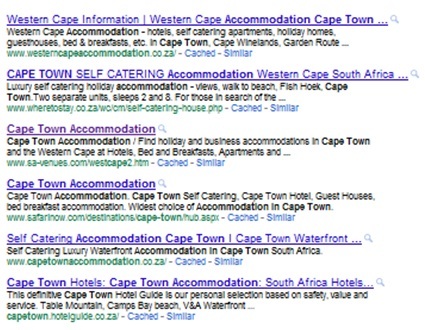 So, if you own a self-catering establishment in Cape Town and you want to catch the attention of local and international tourists, you’ll want to appear for the search query “accommodation in cape town”. All internet searches start with a query that consists of words or phrases that are relevant to the information required. These words or phrases are called keywords or search phrases. Keywords can be broad or narrow. 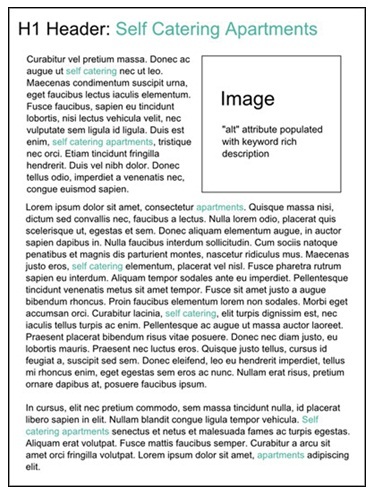 Broad keywords are usually used in the beginning stages of a search. Accommodation in Cape Town is a broad phrase because it will return a wide variety of results (about 14,300,000). It’ll include hotels, holiday apartments, guest houses, B&Bs, backpackers’ hostels and, of course, self-catering establishments. The narrower keyword phrases become the more specific they become. 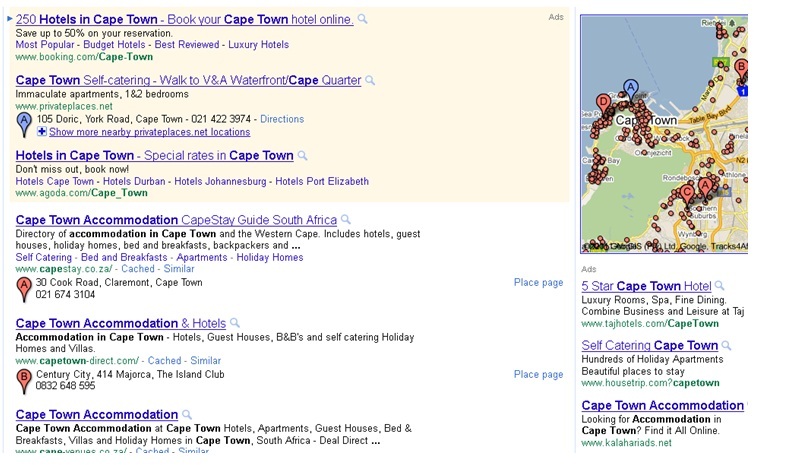 A search query for “self catering accommodation in cape town”, for example, might be more relevant to your business and attract more targeted traffic. Your SEO company will conduct keyword research to determine which keywords and phrases are the most competitive and which are most likely to deliver results. Search patterns and search engine algorithms are in constant flux, so your company will monitor phrase performance on a monthly basis. 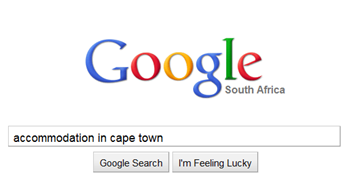 For example: keyword research for accommodation in cape town also delivers associated keywords that perform well. These results help you and your company decide which phrases to target. It’s not enough to consider your position in search engines only. It’s important to know what your competition is doing online, and whether or not what they’re doing is paying off. It’s also not enough to simply look at the traditional search engine results. 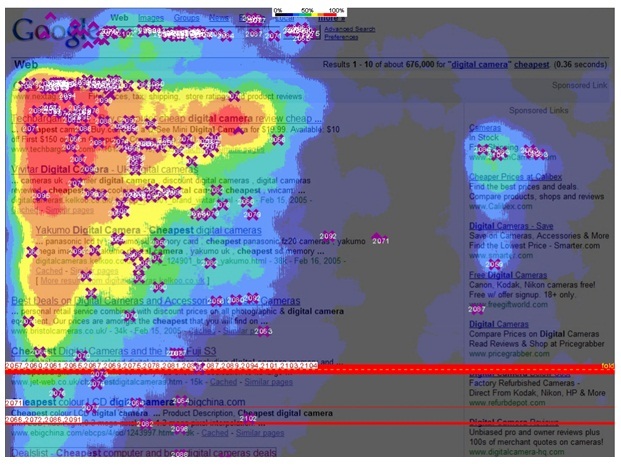 Paid search results (highlighted in peach at the top and on the right side) are also important when it comes to determining your competition. Maps results (top right) not only show you who your competition is but where they are located. This is important when it comes to adding location based information to your search terms. If you want to outdo your competition you need to aim for the top three results on the page. This isn’t something that online marketers spout to sound impressive, it’s a fact backed by some serious scientific evidence. 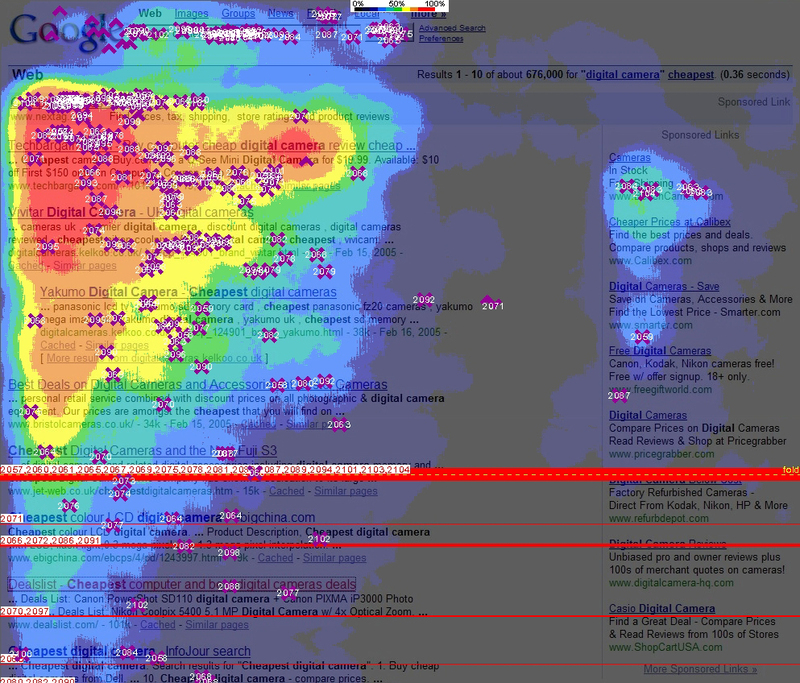 Eyetools Research joined forces with Enquiro and Did-it.com to conduct an Eye Tracking Study using heat map technology. As you can see, almost all of the attention is focused on the first three results. That is, the first three results on the first page. The significant majority of internet users look at the first results page only before trying a new search phrase. Your SEO company will also conduct an audit of your site to determine which aspects need special attention and optimisation. According to SEO guru Rand Fishkin, the perfectly optimised page consists of a header (with keywords); an image (suitably optimised with a keyword rich description); and a body of content peppered (but not stuffed) with keywords. You also need an optimised URL (web address) and a site that is designed for easy navigation. For SEO to reach its full potential, efforts have to be extended to offsite activities. These include external links, traffic to your website and, increasingly, social media presence. No one knows exactly what goes into Google’s algorithm, but we do know what online components can influence it. 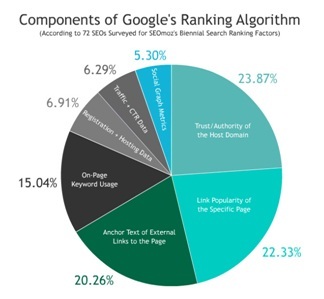 Link building, which is very important, especially when used in conjunction with original content (which has an added PR benefit), and link negotiation. Link baiting, which involves creating original content and displaying it in an original manner so that others can’t wait to link to you. This is more difficult than it sounds because it’s not enough to be unique, one also has to provide value and find the right audience. Social media promotion, which expands brand awareness, adds to authority, builds credibility and attracts traffic. Conversion rate optimisation, which converts passing traffic into goals. Getting lots of traffic is useless if your visitors don’t meet your website’s goals – signing up for newsletters, requesting a quote or completing a sale. Conversion rate optimisation is designed to increase your ROI.